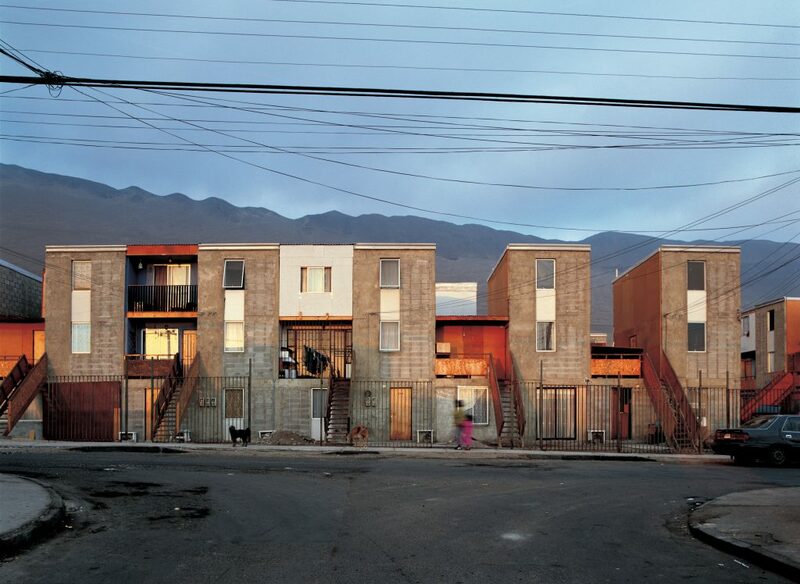 The Chilean government offers each household a subsidy that allows it to buy a home. But the homes are of poor quality. 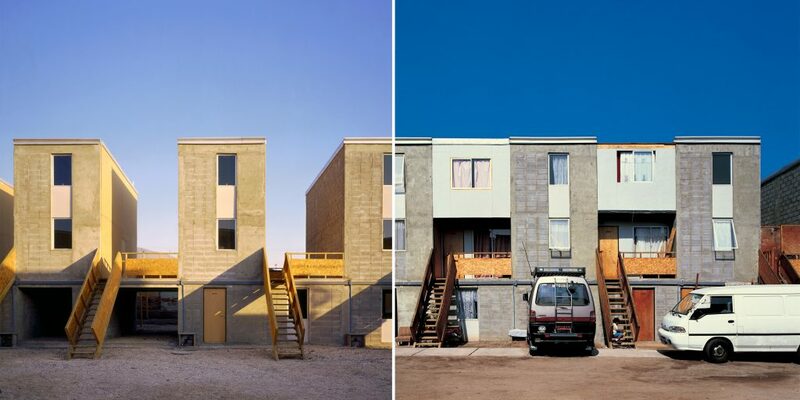 To solve this problem, architect Alejandro Aravena and his team at Elemental offer housin “to be completed”. Residents can carry on building gradually, depending on their means and their needs. The initial structure responds to all the local antiseismic requirements and includes the kitchen and bathroom. To allow people to extend the bedrooms or to create new ones without affecting the strength of the building, the size of the volumes to be completed is calculated with reference to standard construction elements. Each family can thus build the house it needs, at its own pace and to its own taste.